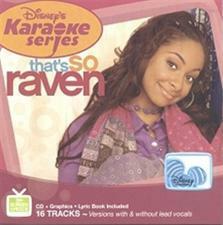 Sing 8 songs made popular again on the Disney Channel's hit show "That's So Raven!" Perfect for kids of all ages! Includes guide vocals, instrumental background tracks, and lyric book.